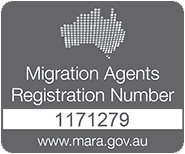 If you’re interested in what Australian visas you could qualify for, please visit our online visa assessment form, so that we can help you. If the form does not apply, please contact us below for further information on how we can assist with your Australian visa options. Come and visit us in Brisbane! We take walk-in appointments, but for best availability of our agents, please call ahead.